NASA has confirmed a December 16 placeholder for the Falcon 9 v1.1 launch of the CRS-5/SpX-5 Dragon mission to the International Space Station (ISS). This latest mission will also include another advancement of SpaceX’s re-usability aspirations, with the Falcon 9 first stage set to attempt a propulsive landing on to an ocean platform. The latest Dragon mission to the orbital outpost follows hot on the heels of the previous Dragon (CRS-4/SpX-4) which successfully returned to Earth last month. That mission was another success for the spacecraft that holds ambitions of carrying crew – under the modified Dragon V2 (Dragon 2) configuration – with the non-destructive return to Earth a key capability when compared to all other current cargo resupply vehicles. Her parachute-assisted splashdown in the Pacific ocean – and subsequent recovery – allowed for vital “downmass” to be egressed from within her belly, including vital science experiments that are now in the hands of technicians and investigators. “There were no reports of water intrusion, and all return cargo appears to be in good shape,” flashed a NASA memo note on L2’s CRS-4 coverage, ultimately confirming the return leg of the mission fulfilled its obligations. The follow on mission for Dragon was always set to occur before the end of the year. The processing flow, involving the Falcon 9 v1.1. hardware being born at SpaceX’s rocket nursery Hawthorne, followed by a truck journey for her engine firing graduation at the McGregor test site in Texas all went to plan. However, the launch date target of December 9 was impacted by a failure of another rocket that was attempting to launch out of Virginia. 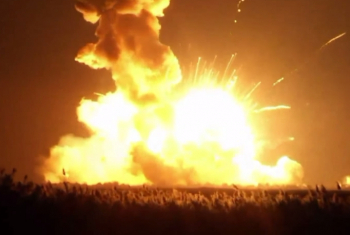 Orbital’s CRS-3 Antares rocket failed seconds after launch, when one of the vehicle’s AJ-26 engines suffered a major turbopump issue, resulting in the loss of the vehicle. Her payload, the Cygnus spacecraft destined for the ISS, was also lost in the resulting fireball at the Wallops launch site. Cygnus is Dragon’s partner under the Commercial Resupply Services (CRS) contract that provides US upmass to the Station. NASA cargo requirements are split between the two vehicles, meaning the loss of Cygnus has resulted in NASA teams re-evaluating the priority items that may need to be re-manifested on this next Dragon mission. ISS Program manager Mike Suffredini intimated at such a process almost immediately after the failure of Antares, while adding there was no immediate supply issue for the Station, based on inbuilt and pre-arranged contingencies that ensures the Station has several months of flexibility for its demands. Due to the manifest changes to Dragon’s payload, December 9 was always seen as a date in flux. However, this week has seen internal NASA manifests – specifically the FPIP master schedule – move the CRS-5 mission to a placeholder of December 16, with back up opportunities on December 19 and 20. Dragon would berth with the ISS on December 18, based on the first listed opportunity – that would launch in an instantaneous T-0 of 2:31pm Eastern. Understandably, SpaceX did not wish to comment on a specific date when asked. The company traditionally waits until closer to the launch date. “We haven’t yet released additional schedule information for this period, but will let you know when we have an update,” noted SpaceX spokesman John Taylor, speaking to NASASpaceFlight.com. However, NASA has since confirmed the December 16 target. L2 schedules show the Static Fire of the Falcon 9 v1.1 at SLC-40 on the schedule for December 2, although this too is subject to change. Per the manifest negotiations, SpaceX’s Dragon is a very capable little spacecraft, with an ability to loft up to 3,310 kilograms (7,300 lb) of pressurised and unpressurised cargo into orbit, before returning up to 2,500 kilograms (5,500 lb) of pressurised cargo to Earth at the end of her mission. While the full cargo manifest hasn’t been released – no doubt because that manifest is still being evaluated – it is at least known that this latest Dragon will be lofting the Cloud Aerosol Transport System (CATS) to the Station. This hardware is a light detection and ranging remote sensing instrument designed to measure the location, composition and distribution of pollution, dust, smoke, aerosols and other particulates in the atmosphere. 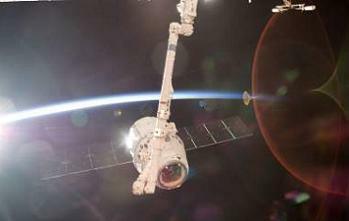 Once CATS arrives at the Station with Dragon, it will be installed on the Kibo external facility. Meanwhile, Cygnus is expected to return in 2015, albeit initially on another launch vehicle while Orbital “upgrade” the Antares with a new propulsion system. Industry sources claim SpaceX’s Falcon 9 v1.1 is the favorite to win the right to launch one or two Cygnus missions during this interim period. Orbital earlier noted it was talking to three potential providers. 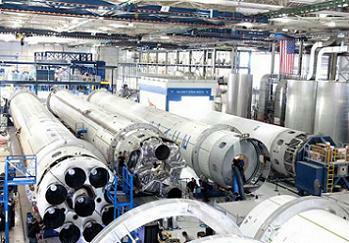 While the primary mission of CRS-5 is to delivery its array of supplies to the ISS, SpaceX doesn’t do things by halves. This mission will once again see another leap forward with its plans to return a first stage back to Earth, along the path of eventually returning cores to land for reuse on later missions. 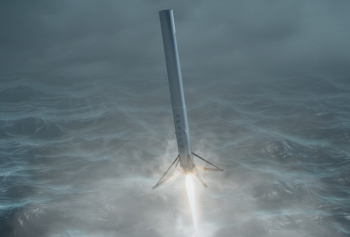 Sporting landing legs, grid fins and the experience gained from previous attempts to ease down on the ocean surface, CRS-5’s Falcon 9 v1.1 will make an ambitious attempt to touch down on a platform that is to be located off the Eastern seaboard. “For the upcoming launch, I think we’ve got a chance of landing on a floating landing platform,” Elon Musk said at a recent MIT event (video – transcript). “We actually have a huge platform that’s being constructed at a shipyard in Louisiana right now. Which is – well, it’s huge, huge-ish, it’s about 300 feet long by 170 feet wide. However, once that milestone is achieved, the next goals will involve turning a booster around for re-flight and then returning boosters to landing sites on land – not necessarily in that order. It is understood the two primary sites for returning boosters on land are currently being evaluated. 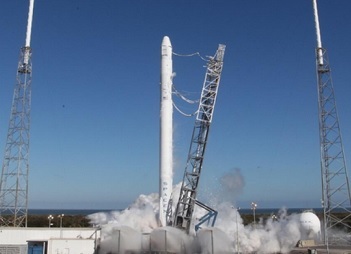 It is likely the first attempt to return a Falcon 9 v1.1 booster to land will be conducted in 2015, according to Mr. Musk. “There’s at least a dozen launches that will occur over the next 12 months and I think it’s quite likely, probably 80 percent to 90 percent likely, that one of those flights will be able to land and refly.